How much is Julie Ertz Worth? 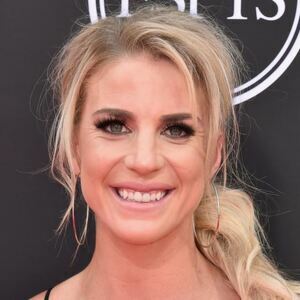 Julie Ertz net worth and salary: Julie Ertz is an American soccer player who has a net worth of $3 million. Julie Ertz was born in Mesa, Arizona in April 1992. She is a midfielder and defender who spent her youth career with Arizona Arsenal Soccer Club and Sereno Soccer Club. Ertz spent her college career playing for the Santa Clara Broncos and scored 31 goals in 79 appearances. She was drafted #3 overall by the Chicago Red Stars in the 2014 NWSL College Draft. Julie Ertz has also represented the United States in international competition at the under-15, under-18, under-20, under-23, and senior levels. In 2015 she played every minute of seven games when the U.S. reached the World Cup final and she was named to the FIFA Women's World Cup All-Star Team. She was named the U.S. Soccer Female Player of the Year in 2017. 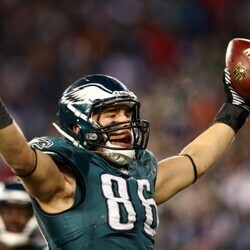 She is married to NFL player Zach Ertz.